Beijing, December 20, 2017 - Alibaba Cloud, the cloud computing arm of Alibaba Group, announced today that clients can start to sign up for services to be delivered in its new India data center, which is set to open in January 2018. Located in the city of Mumbai, this new data center will help meet the surging demand for cloud computing services among the fast-increasing number of Indian small and medium size businesses in the region. India is a key market in Alibaba Cloud’s globalization strategy, and the firm sees tremendous business opportunity given the rapid growth of the Indian economy and the nature of the enterprises looking to expand from the country. 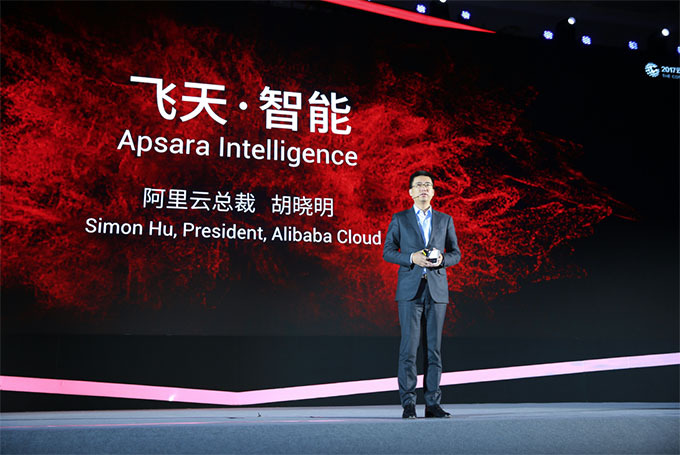 Alibaba Cloud’s vision to empower enterprises anywhere in the world to go global is now extended to Indian clients with a comprehensive suite of high-performance cloud products including large-scale computing, storage resources, and big-data processing capabilities. Indian businesses of all sizes can now run their applications on Alibaba Cloud’s powerful, reliable and secure cloud platform. Other data center service offerings include elastic computing, database, storage and content delivery, networking, analytics and big data, containers, middleware, and security. Alibaba Cloud now has 33 availability zones across 16 economic centers globally, with coverage extending across mainland China, Hong Kong, Singapore, Japan, Australia, the Middle East, Europe, India and the U.S. (East and West Coast). Alibaba Cloud will establish a local team of dedicated professional consultants to provide service planning, implementation and after-sales support, helping customers of all sizes as they move to the cloud and enabling them to realize their full growth potential. This will extend what Alibaba Cloud is already doing to service thousands of customers from India globally. Alibaba Cloud has partnered with Global Cloud Xchange (GCX), a subsidiary of Reliance Communications that enables direct access to Alibaba Cloud Express Connect via GCX's CLOUD X Fusion service. As announced previously, Alibaba Cloud has also partnered with Tata Communications to provide direct access to Alibaba Cloud Express Connect via Tata Communications' IZOTM Private Connect service. Established in 2009, Alibaba Cloud (www.alibabacloud.com), the cloud computing arm of Alibaba Group, is among the world’s top three IaaS providers according to Gartner, and the largest provider of public cloud services in China, according to IDC. Alibaba Cloud provides a comprehensive suite of cloud computing services to businesses worldwide, including merchants doing business on Alibaba Group marketplaces, start-ups, corporations and government organisations. Alibaba Cloud is the official Cloud Services Partner of the International Olympic Committee.